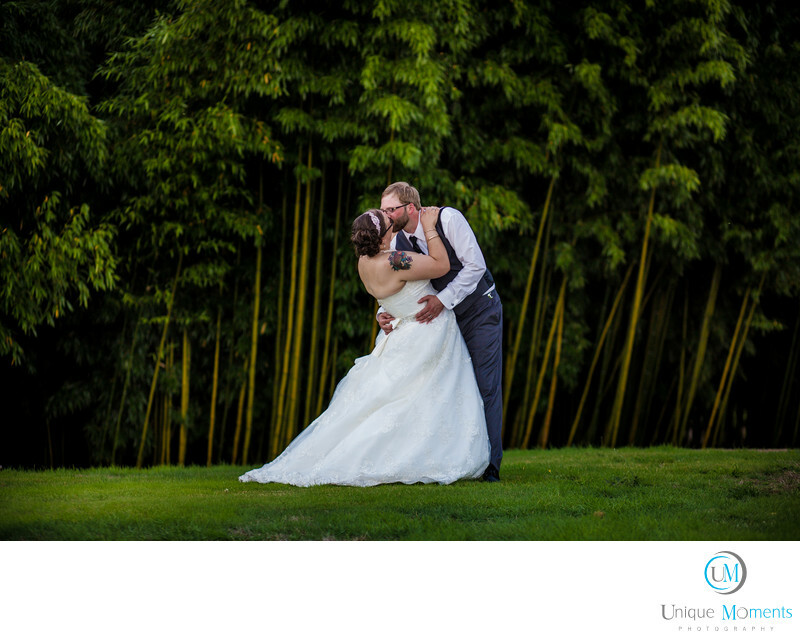 Yangs Botanical Gardens in Port Orchard is a super nice venue and a great value for families considering a outdoor wedding. We Found out about Yangs Botanical gardens when we started to remodel our home in Gig harbor. We went to Yangs in Gig harbor to purchase some Japanese plants for our garden and we met Mrs yang. Sweet lady. During the conversation she told us about a wedding venue that she owned in Port Orchard. Imagine My surprise when we met this couple a few weeks later who told us they were getting married at Yangs Botanical gardens. We jumped at the chance to photograph their wedding. What a beautiful facility, It used to be a golf course and the club house has been converted to a wedding reception venue. Loads of room and the views from the upper west deck are beautiful. This is a cant miss facility for wedding pictures. The grounds have an abundance of photo locations. You can cater your own food and families don't have to use the facility catering company that so many venues force you to use. Yangs is someplace people in the area should consider because its beautiful and it is very affordable. Highly recommend Yangs Botanical gardens. Mrs Yang, Im going to make you read this before spring arrives in 2016. I need more plants for my garden.